Martin Wallace's streamlined redesign of Brass. 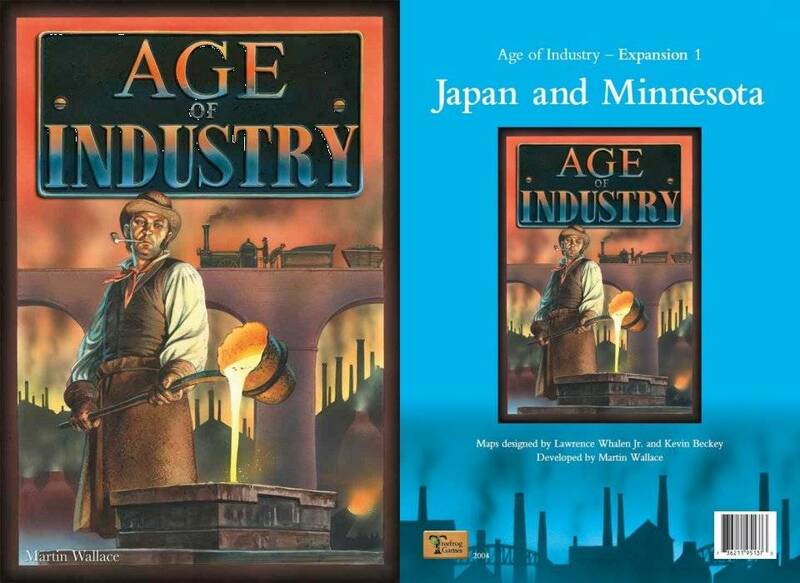 In Age of Industry, players are tycoons in the early days of the Industrial Revolution, a time when traditional craftsman were rapidly replaced with steam-powered machines. 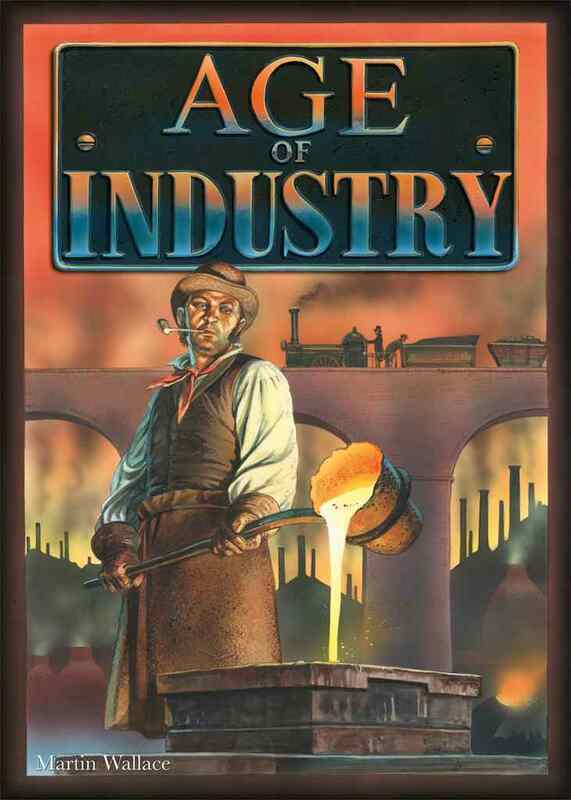 Players invest in the production of raw materials, the manufacturing of goods and the transportation networks needed to connect them. Like Brass, the strategic space is vast and player decisions are limited by cards. 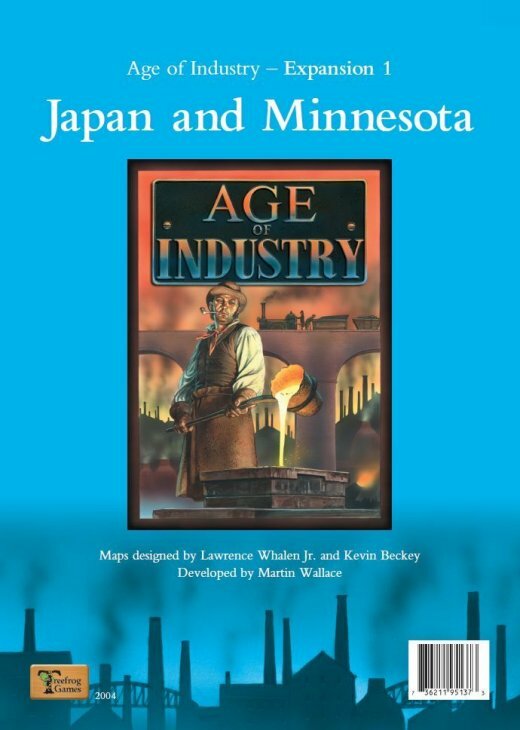 In Age of Industry, however, cards are color-coded to regions rather than specific cities, allowing the players to be more flexible with their plans, while at the same time, continuing to limit the decisions available. The color-coded region cards will also support expansion maps. In addition, the original Brass rules were simplified by eliminating the canal period; there is only one period, the railway era. There is also a new, non-specific industry, which will change with each map. According to Wallace, "You can now play something with the depth of Brass but in half the time. The game will have a double-sided map, with Germany on one side and southern New England on the other."